This pickup's impressive PAF design removes hum whilst preserving the traditional single-coil tone. This STK-S4 Bridge pickup comes from legendary manufacturer, Seymour Duncan. This pickup comes in white. 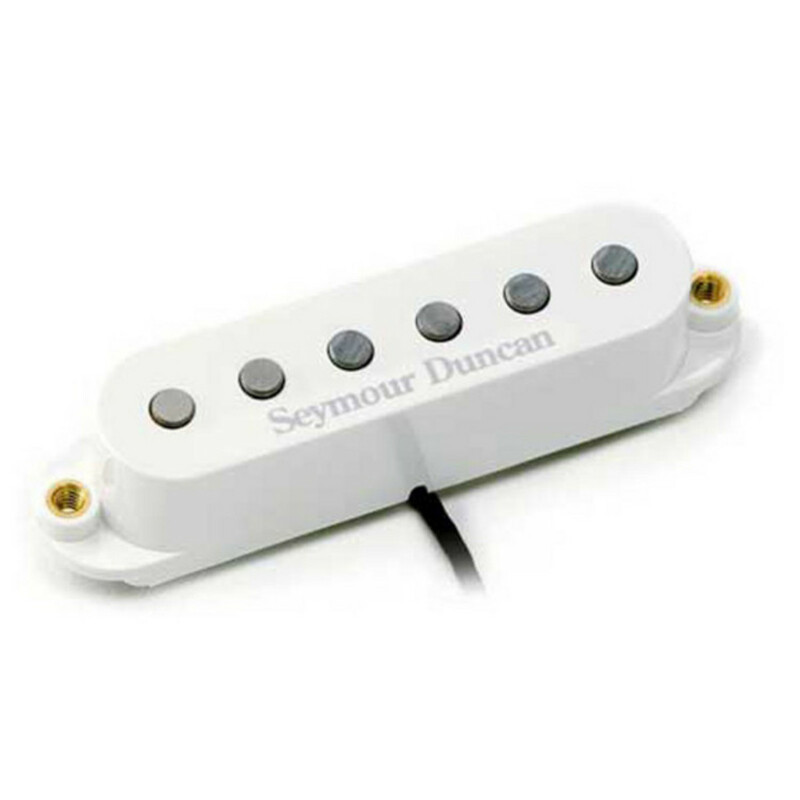 The Seymour Duncan STK-S4 Stack Plus Strat Bridge Pickup, White, boasts a Patent Applied For design, which removes hum and helps preserve the traditional single coil tone. The STK-S4 is recommended for country, pop, surf, blues, rockabilly, ska and classic rock. Players who have used pickups within the STK-S4 family include Nuno Bettencourt (Dramagods) and Carl Verheyen (Supertramp, Cal Verheyan Band). You'll be impressed by the amazing design of this pickup, which injects tunable "negative hum" into the pickup circuit. Each unit is individually factory pre-tuned to provide an optimal traditional single coil sound with no hum. This pickup is also available in middle and neck positions on Gear4music.com. The STK-S4 is designed for all well-balanced instruments and works well with maple and rosewood fingerboards.